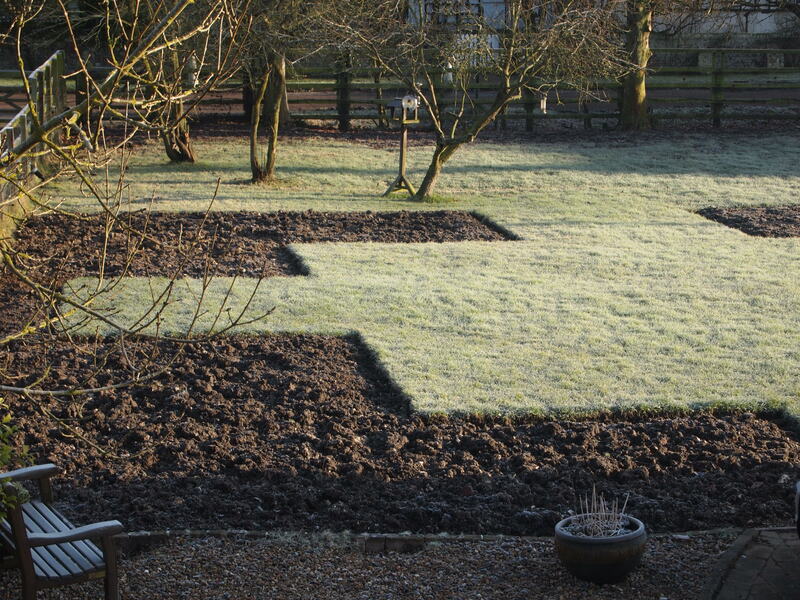 The garden is now blank, following many weekends of clearing. It is not a garden at all really as it is devoid of shrubs, flowers or bulbs. Yet in my mind, it is full of my favourite shrubs, grasses, perennials and bulbs and, on a warm day, it has colour, scent and movement. Back of an envelope type plans were scribbled to start the process, before the scale drawing started. 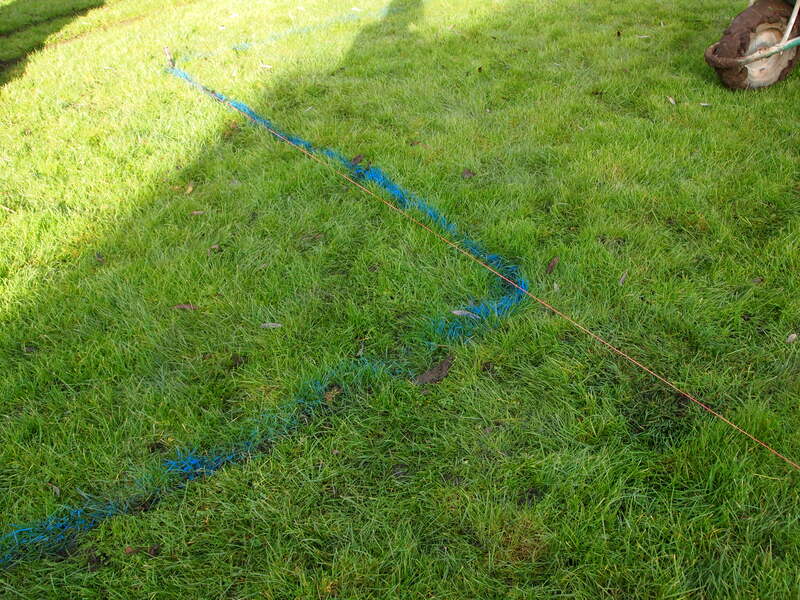 From this point the ground plan was drawn to scale and then the grass was marked out. 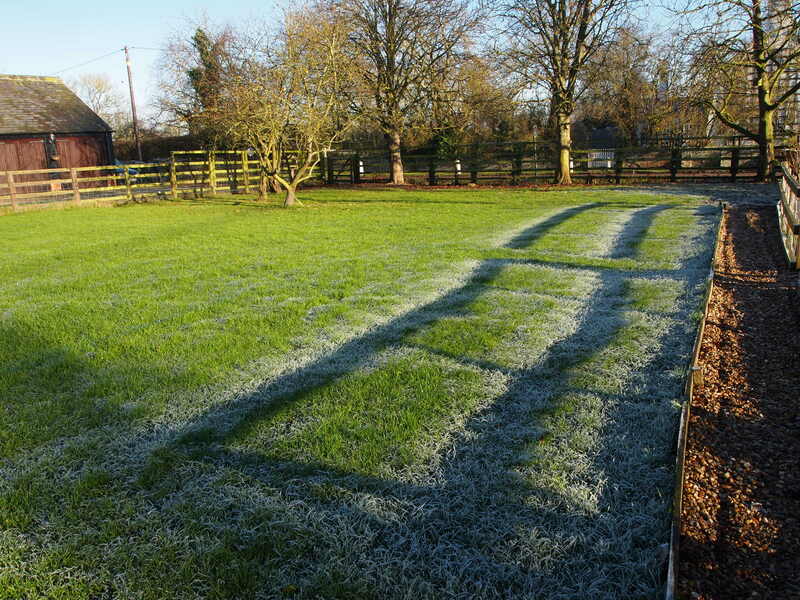 The turf was lifted, then the soil was turned over by digger, pending planting in the Spring. 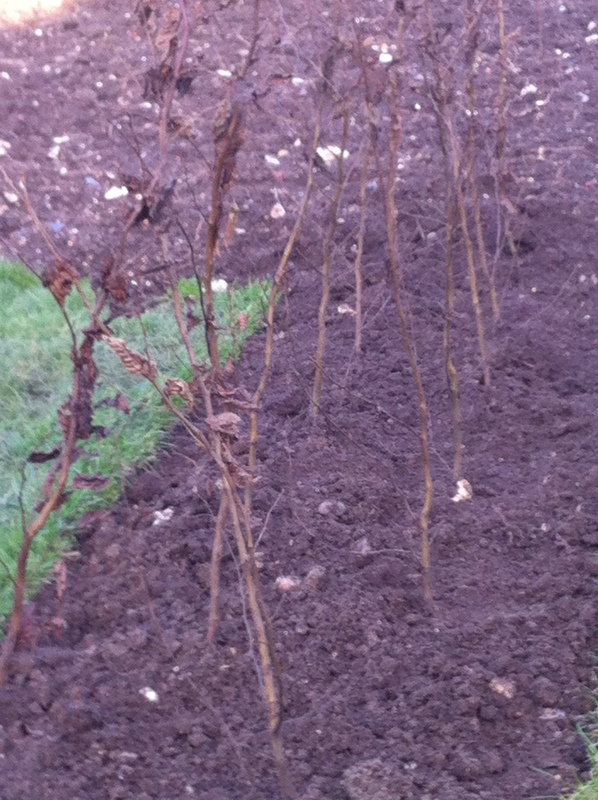 Carpinus betulus, Hornbeam whips have been planted and will become a hedge. The hedge will become a green wall for the birds to shelter in and for a bench to back up against. A quiet spot to read a book or share a cup of tea perhaps. Rather hard to imagine, I admit. There are dogwoods to plant. 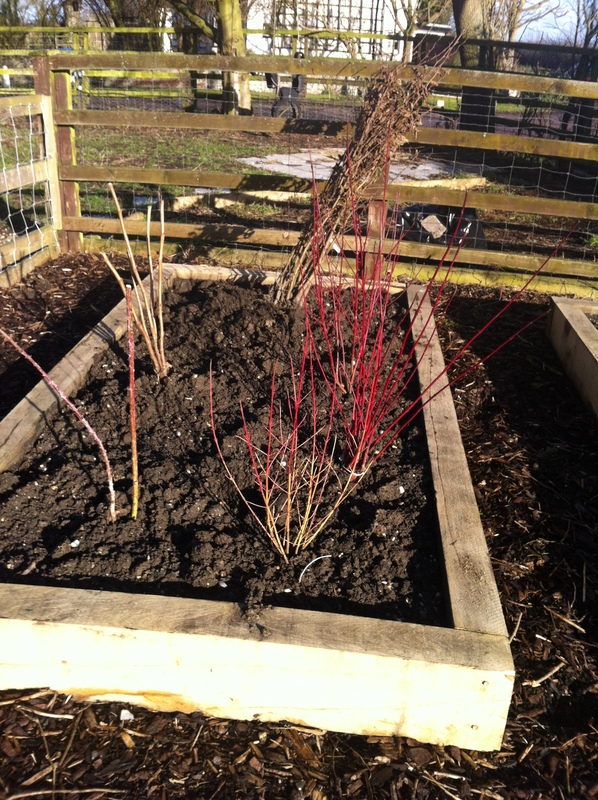 I have chosen a combination of Cornus alba Elegantissima, the silver variegated dogwood, Cornus sanguinea ‘Midwinter Fire’ and the red stemmed dogwood, Cornus alba ‘ Sibirica’. 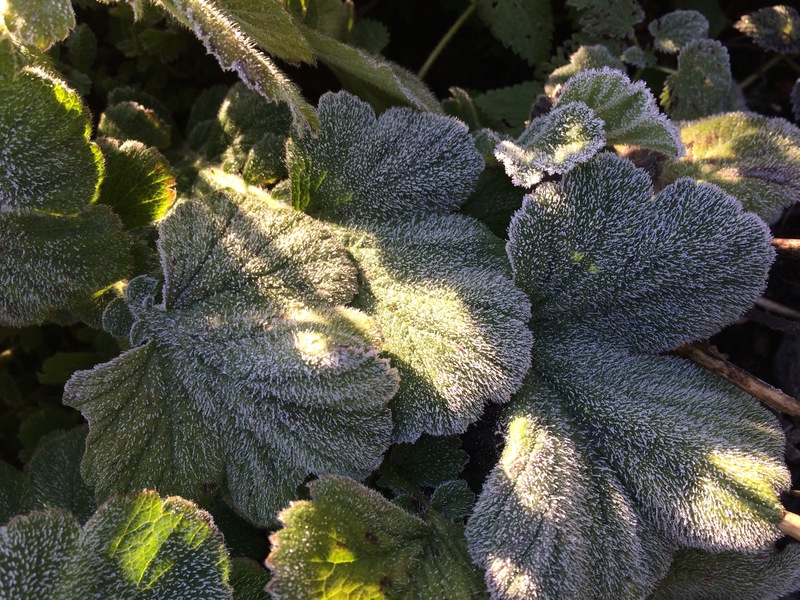 I have also added a white stemmed bramble, Rubus cockburnianus to the group. 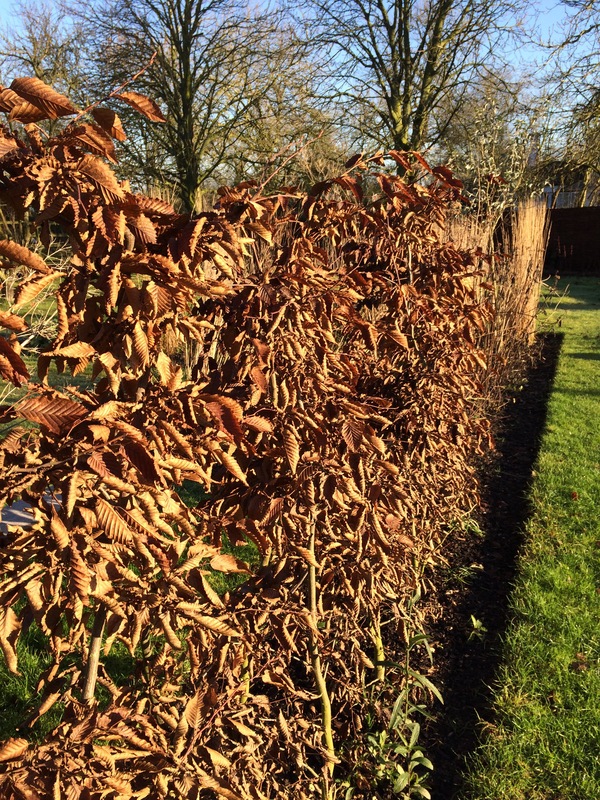 They may not look much now but they will eventually create a large curve of colour for the drab Winter months and a natural screen to block out the roadside. 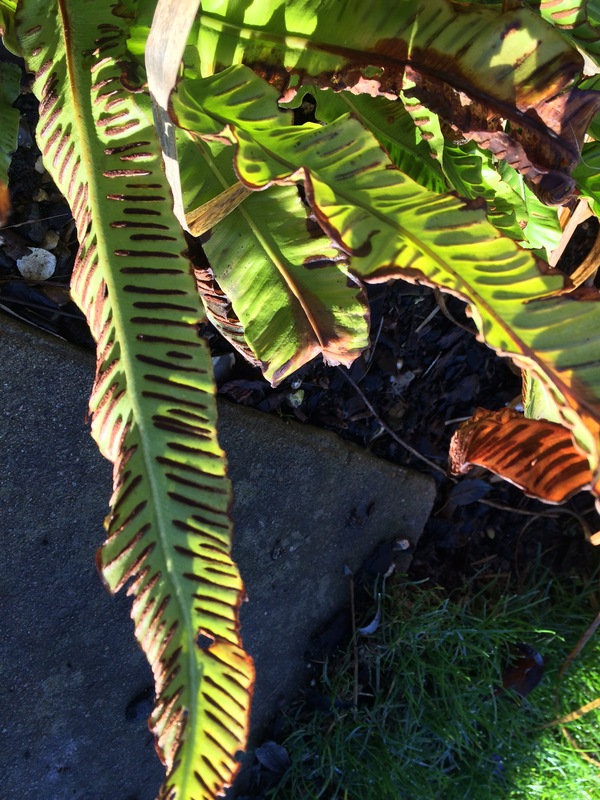 There are lists of must have plants, yet to be organised into a planting plan proper. There are roses. 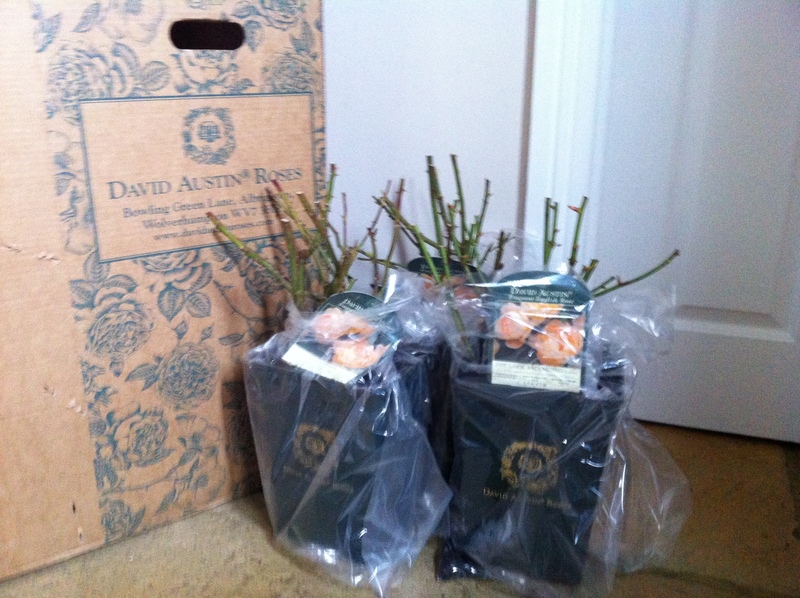 How fantastic to take delivery of, not one, but three, David Austin Roses. Thank you Gail and Neil. ‘The Lark Ascending’ is not familiar to me, although the piece of music after which it is named, is! The website davidaustinroses.com tells me that The Lark Ascending will have cupped, medium sized blooms in a light apricot colour. It is repeat flowering, has a tall airy growth and a light fragrance. How exciting. So that is where I have got to. Lots of plans. 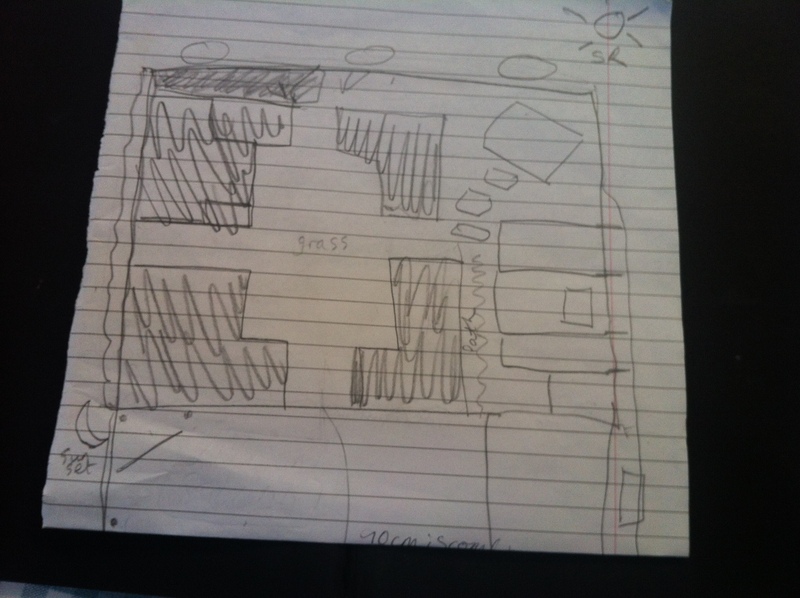 A planting plan to draw up. A bucket full of seeds to start off, as clearly there is going to be room for lots and lots of annuals. Whilst the weather is freezing and the ground too hard to work outside, I need to get on with the plan and make that list. If you have any must have plants that you think I should include, do let me know. The site is North facing but remains in sunshine most of the day thanks to the open position. The soil is flinty with clay patches. D.